Your pest control professional deals with many unpleasant and risky aspects of the job. As true protectors of health, their safety (and yours) is knowing the various potential hazards in their work environment. Pests can be a source of contamination, vectors of disease, physical threat, and yes, the mental stress pests can have on individuals. 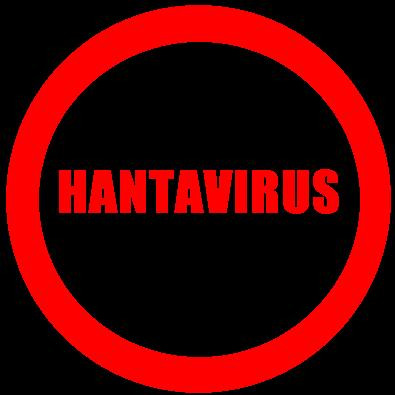 Hantavirus is one of the vectors transmitted by rodents, specifically the deer- footed mouse, and the white-footed mouse. When fresh rodent urine, droppings, or nesting materials are stirred up, tiny droplets containing the virus gets into the air. This process is known as “airborne transmission”. Rodents can transmit the virus if they bite someone; this type of transmission is rare. Physical touch to an item or surface that has been contaminated with rodent urine, droppings, or saliva, and then touch their nose or eyes, much like the common cold. Improper cleaning up of rodent droppings can be a serious source of contamination. Anyone who comes into contact with rodents that carry Hantavirus is at risk of HPS (Hantavirus Pulmonary Syndrome). Cleaning up mouse droppings will put you in contact with rodent droppings, urine, saliva, or nesting materials can place you at risk for infection. It is important to avoid actions that raise dust, such as sweeping or vacuuming. Infection occurs when you breathe in virus particles. Other risky activities can include opening or cleaning cabins, sheds, and buildings, including barns, garages and storage facilities that have been closed during the winter is a potential risk for Hantavirus infections, especially in rural settings. There still is a lot of unknown information about this disease, so it is best to leave clean up to the pest professionals. They have the knowledge, tools and understanding of this disease.